Want to eat out tonight? • Want a discount loyalty card? It can be hard to to decide where to eat locally these days… We are all looking for value for money, great food and an atmosphere to match. We’ve found somewhere that matches up! 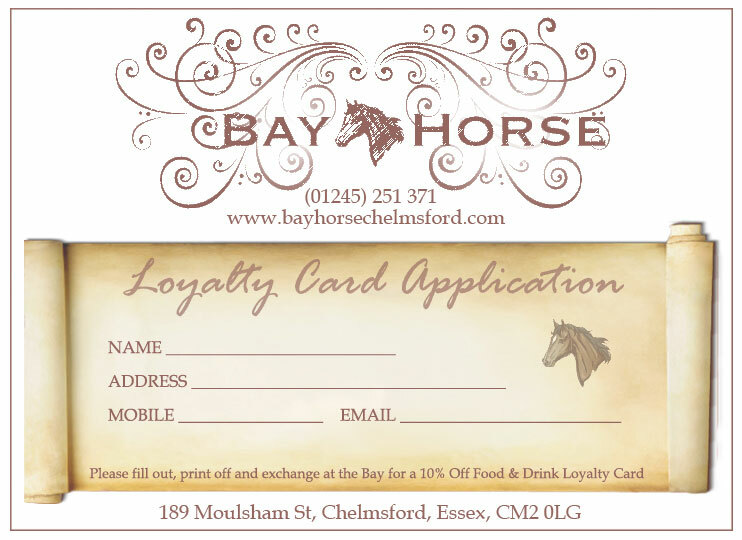 The Bay Horse, in Moulsham Street at the heart of Chelmsford is a beautiful 15th Century Tudor style building with original features, plus the decor and quirkiness of a contemporary establishment. We like it a lot! upmarket eatery. We loved it then for the mouth-watering food, refreshing drinks and the classic cocktail list. We went back again recently to check out the new Spring Menu. The new menu includes delicious dishes – including fillet of pork, seasonal lamb and locally sourced prime steak. Another nice touch was a note with the steaks explaining how to choose your perfect steak. requirements too, you just have to ask. There’s a fabulous selection of wines and over 20 cocktails to choose from – and 5 – 7 pm every Monday to Thursday is cocktail Happy Hour, two for the price of one on all cocktails. We chose smoked mackerel pâté with pickled summer vegetables and toast, and sautéed king prawns with samphire, lemon and garlic butter. We couldn’t fault the presentation or the taste! Head Chef Dan recommended the fillet of pork with sweet potato chips, chilli pork scratchings and mango salsa, and the Bay Horse homemade burger with Applewood cheddar, bacon and shoestring fries. How did it taste? Well, we didn’t leave any! We thought we were full until we saw the dessert menu – strawberry and white chocolate Pavlova and cherry jubilee roly poly pudding with custard went down a treat, thank you very much. One thing that really stood out was the check back service, after course, Bruce, our server, checked back in to see if we were OK, and he was around when we needed him, which was a big positive. Manager Amy took the time to chat to us, and explained that the restaurant wants to cater to upmarket professionals, and has introduced an over 21’s policy after 8pm. The town centre location makes the Bay Horse a unique spot for fine dining in with really a friendly atmosphere we couldn’t help but notice. The lunch menu is served from midday to 5pm, featuring starters, mains, desserts, sandwiches and side orders; even a three course set meal for £15.95. We really like The Bay Horse! 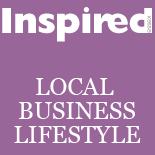 This entry was posted on June 11, 2012 by inspiredessex in Fitness and tagged Bay Horse Chelmsford, Inspired Essex Magazine.